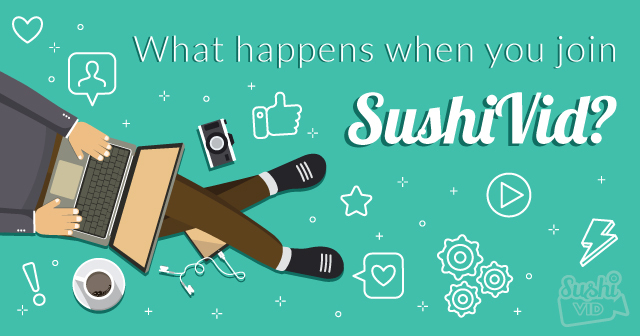 So you're an influencer who's thinking about joining SushiVid, but feeling a bit confused. The sign up process is pretty simple. Once you selected the platform of choice (Blog, Instagram, or YouTube) you will be emailed instructions on how to complete registration. You can later add other social media account when you have completed registration. Blog – we will need you to embed our platform codes into your website – this is to verify you are the owner and help us showcase website traffic to brands interested in collaborating with you. YouTube – Our platform will pull your channel analytics to show interested brands the potential content performance and audience demographic that you represent. Once your profile is live, brands and agencies will be able to check your profile when you propose to their campaign. They will also have access to your all-important analytics to verify you are the real deal. One of the greatest things about joining SushiVid is that we will notify you when there are new sponsorships available. We work with everyone from the small mom and pop brands, to the major players. One minute you could be Instagramming about that awesome local noodle joint, the next you could be filming yourself boarding an AirAsia flight, all with a sponsored Coca-Cola in hand. At the moment a brand hires you, we collect a 50% payment fee. We then hold this as a guarantee and release this portion when the job is complete. Final payment will be made when the post/video goes live. Jobs are smoothest when both parties are on the same page. That's why we have created a simple full-suite collaboration tool that allows brands and influencers to work together. Featuring a smart to-do-list with reminders, calendar views and file uploads all the vital information is available to both parties and mitigates against miscommunication and unmet expectations. With all the information on display, there is no need for brands and influencers to quibble over video captions and the like. It's all about working smarter to achieve a viral campaign result. Another beautiful feature of SushiVid is that it takes care of all the tedious post-campaign admin. Where influencers used to have to screenshot campaign analytics, SushiVid is all over it. We collect all the data that brands need to assess campaign strength. Every review from a brand will feature on your influencer profile. Just like that, you have a growing CV for other brands to fawn over. Your past work on SushiVid will also be automatically added into your profile to give brands a greater sense of how awesome you are! Our portal also makes it easy to keep track of your influencer earnings, as these are recorded on the platform. You can also download receipts and invoices or just check your earning history at any time. That's how easy SushiVid can be! Seriusly, ini sangat menarik. Tak sabar, insyaAllah.